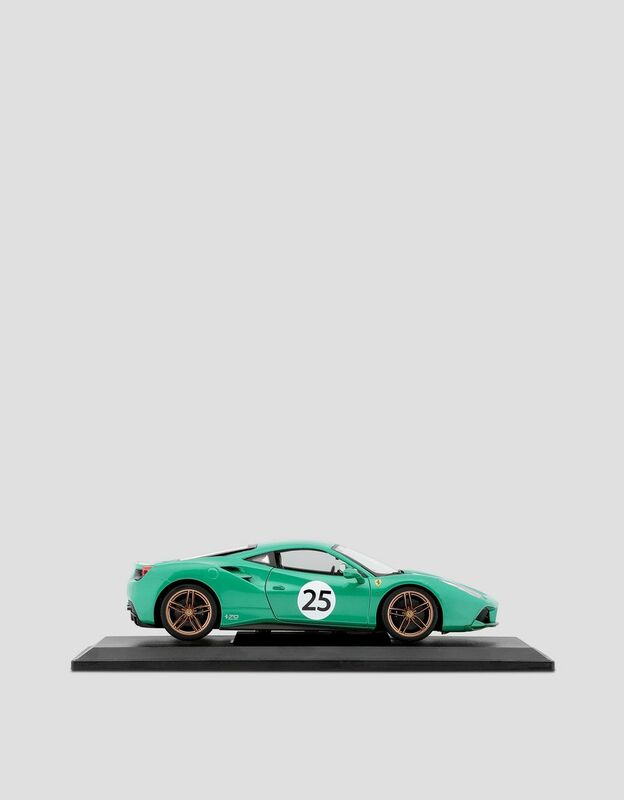 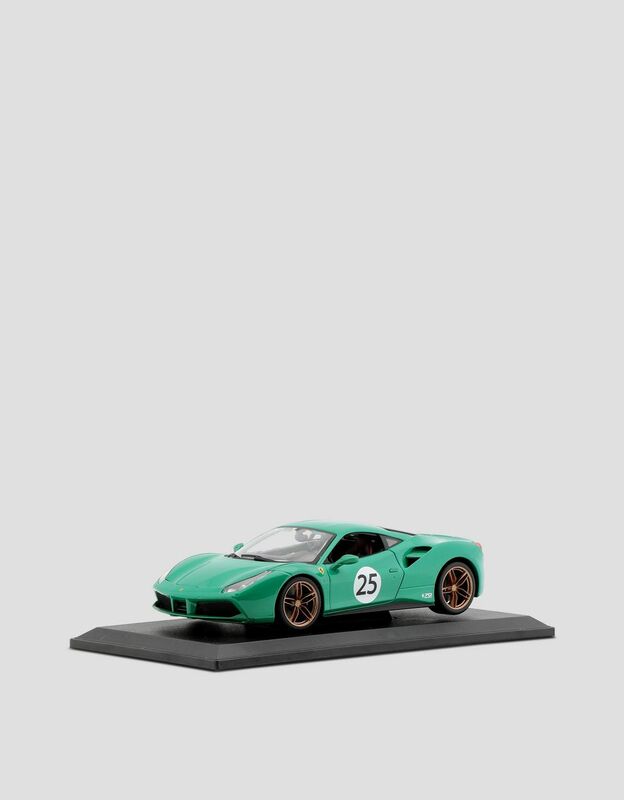 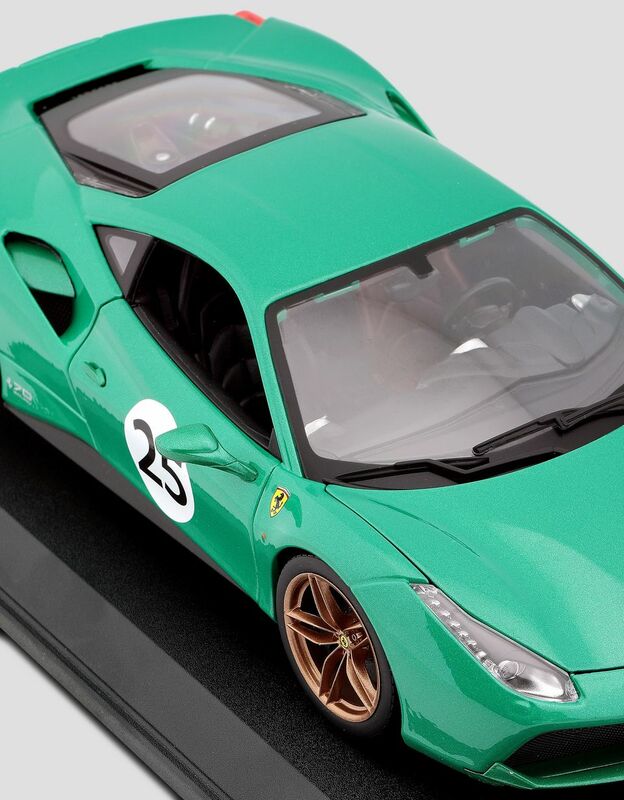 The limited-edition 1:18 model replicates the famous 488 GTB known as the “Green Jewel,” designed for the seventieth anniversary of Scuderia Ferrari. This model celebrates the seventieth birthday of Scuderia Ferrari. 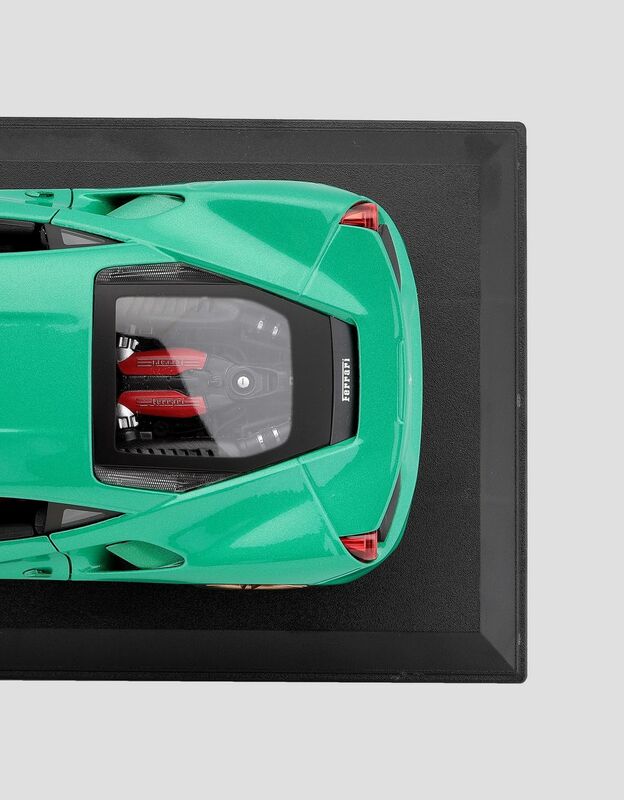 The famous 488 GTB Green Jewel, with its green shell, was created to celebrate Ferrari’s anniversary and is here faithfully reproduced in every detail. 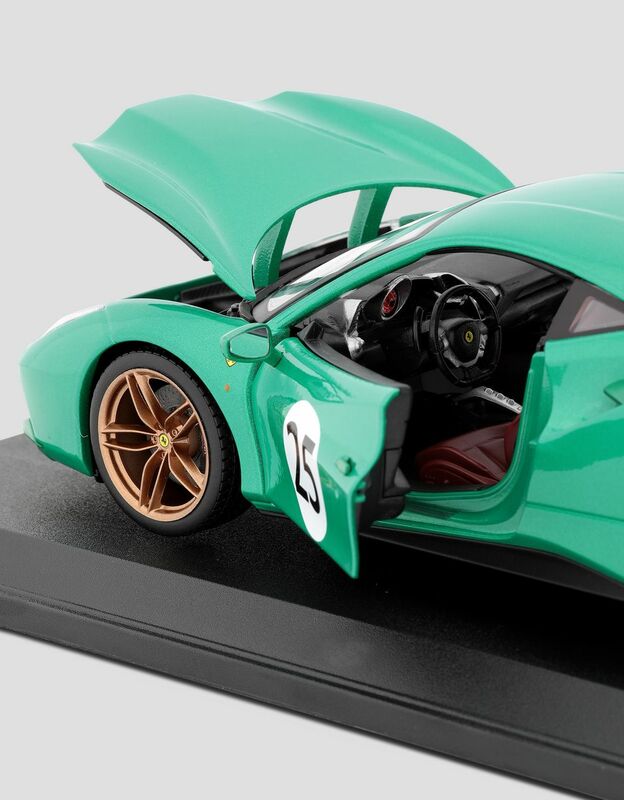 It has functioning steering and a trunk that opens, in addition to an extremely detailed interior. 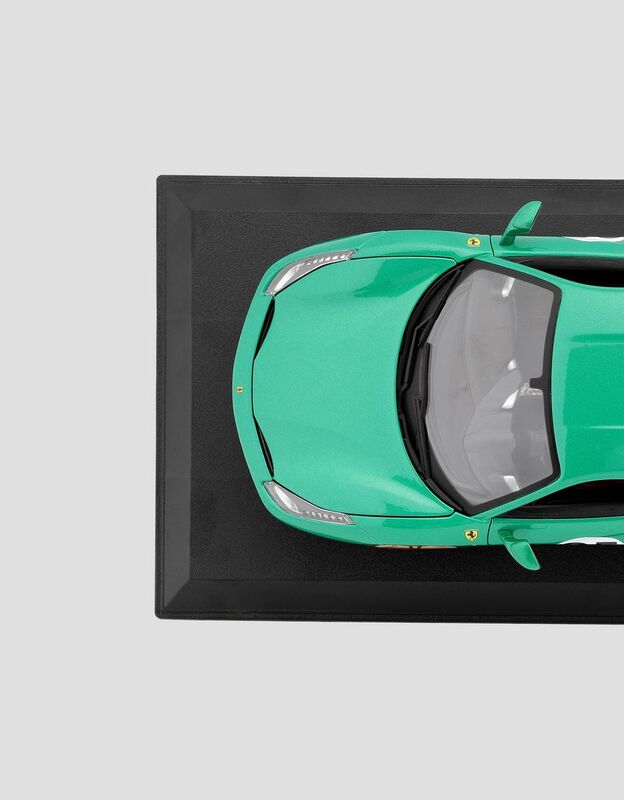 The limited-edition collector’s model comes in an elegant display case.